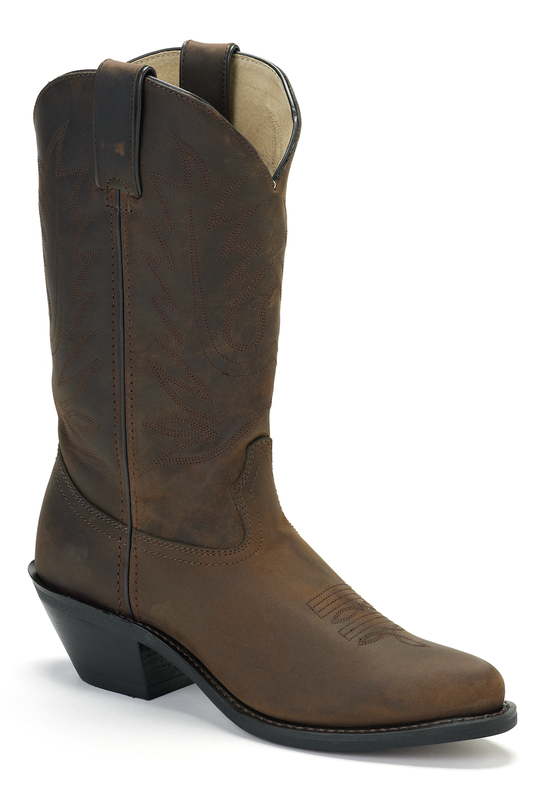 The Lady Rebel by Durango® Women's Waterproof Pull-On Western Boot offers a rich chocolate color and lightweight comfort. 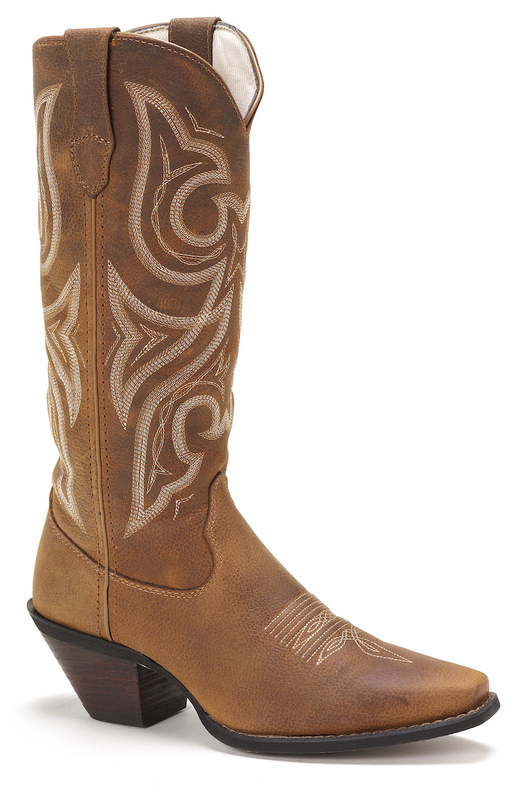 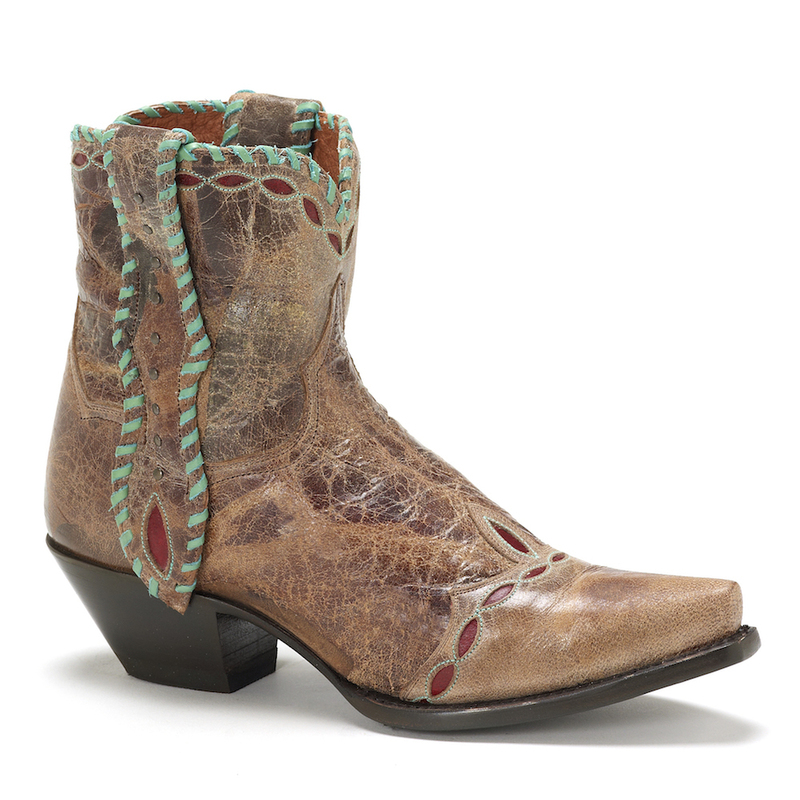 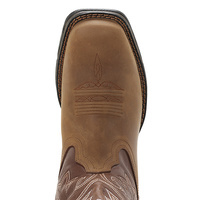 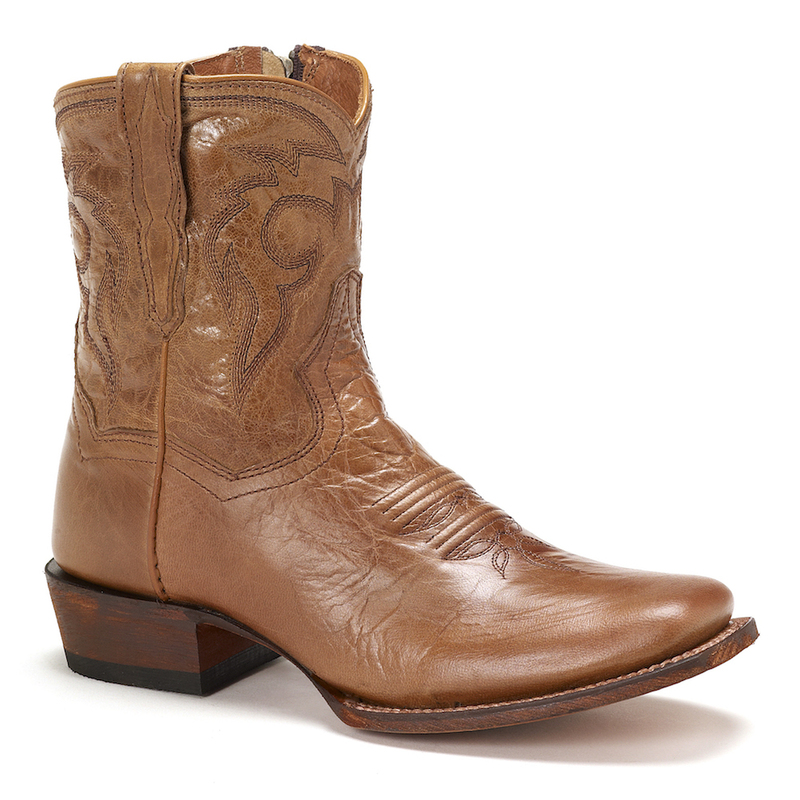 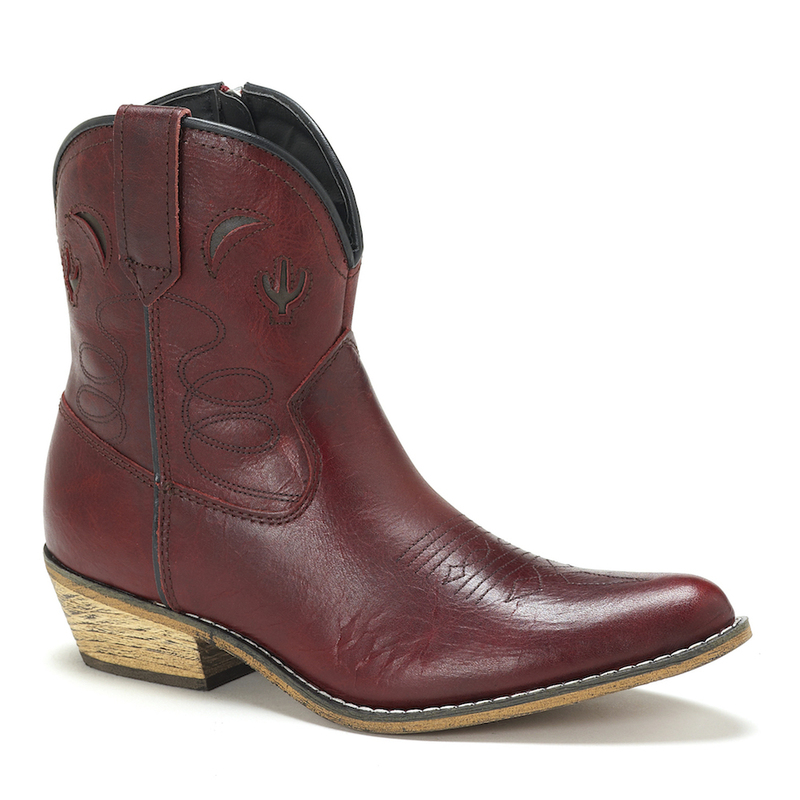 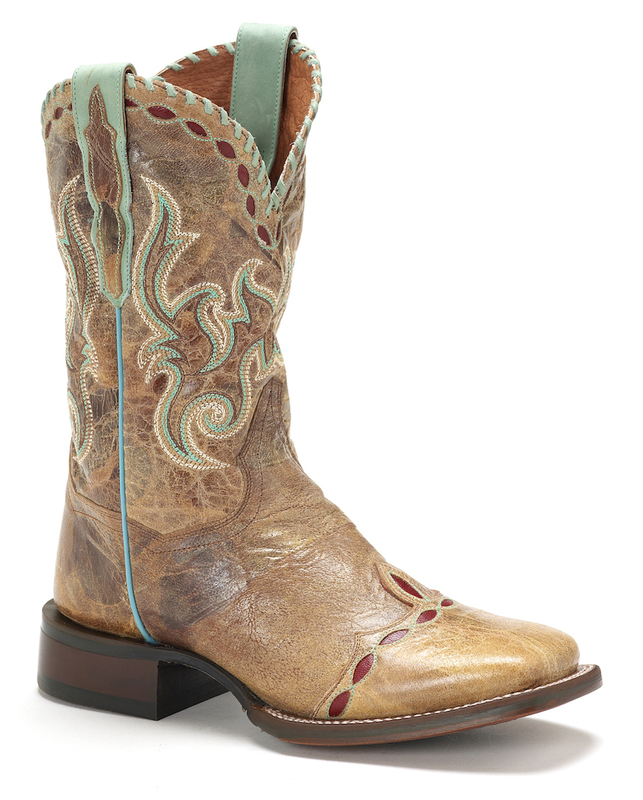 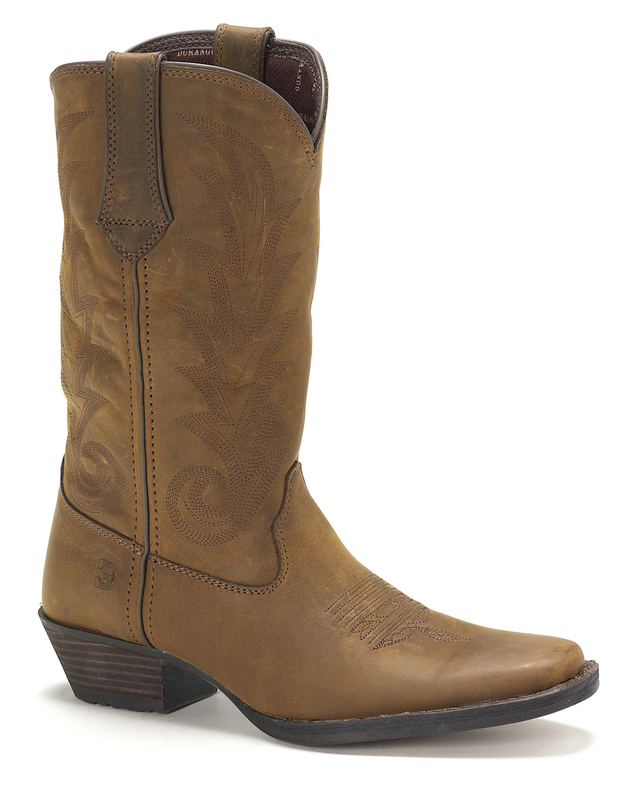 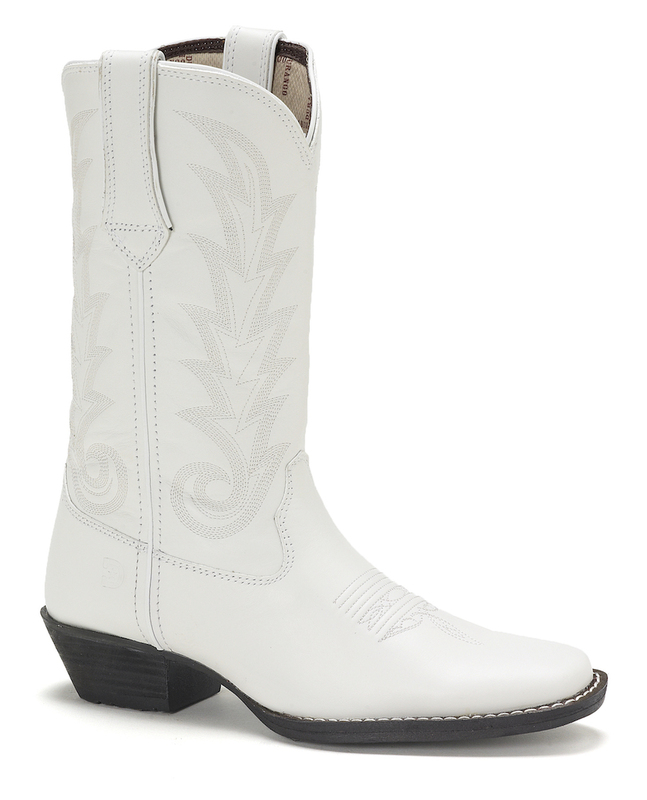 The women's cowboy boot has a chocolate leather shaft with white stitching. 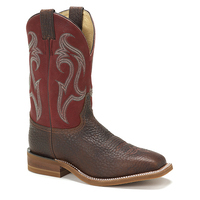 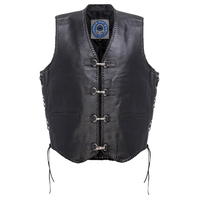 The foot and pull straps are brown leather. 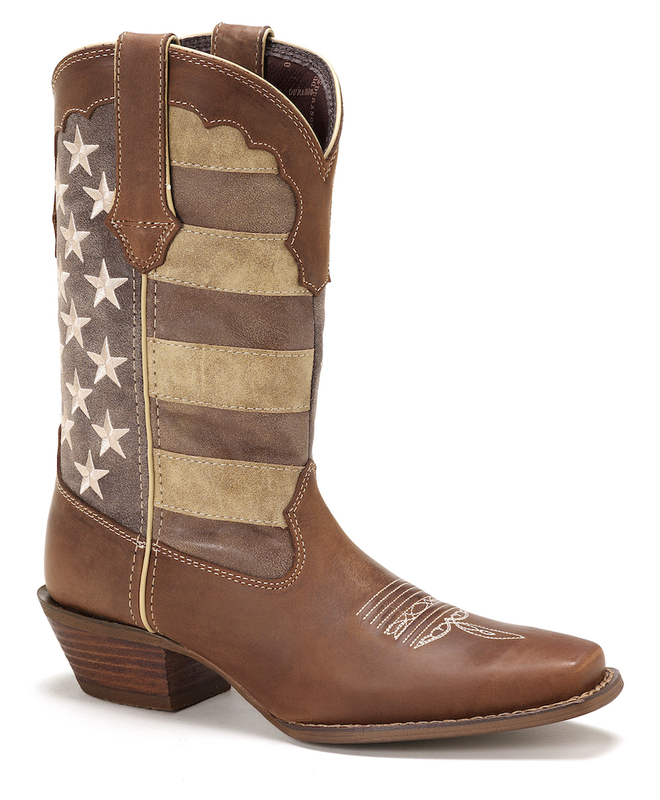 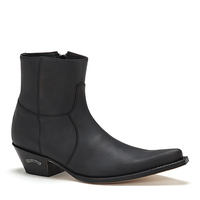 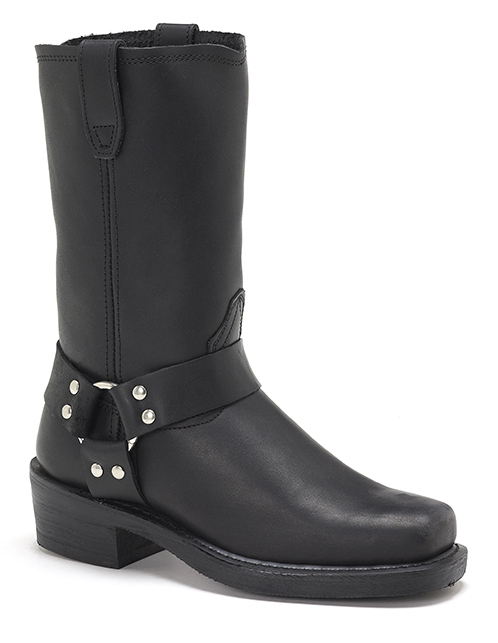 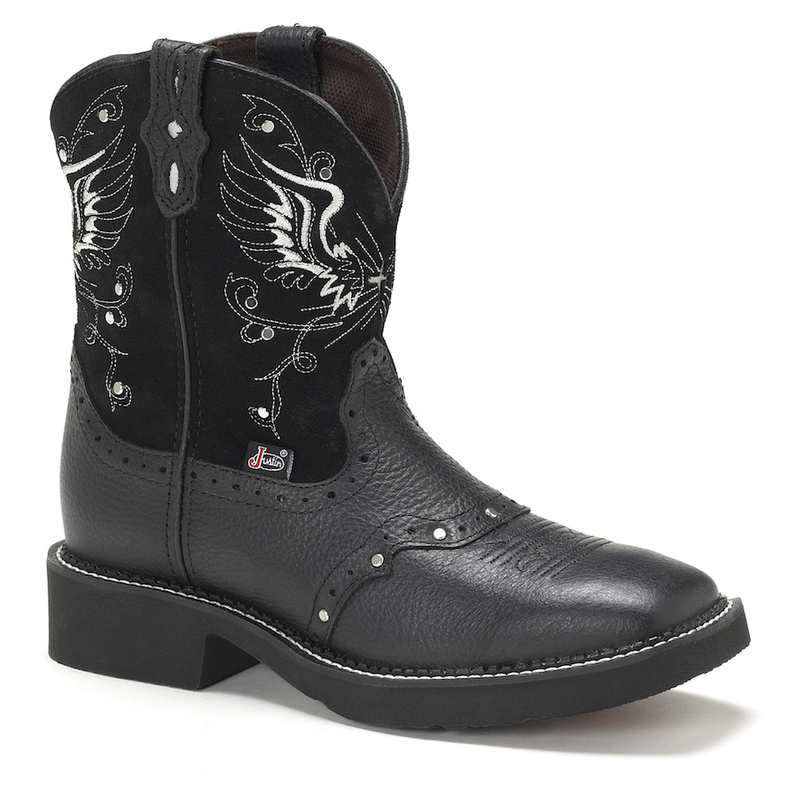 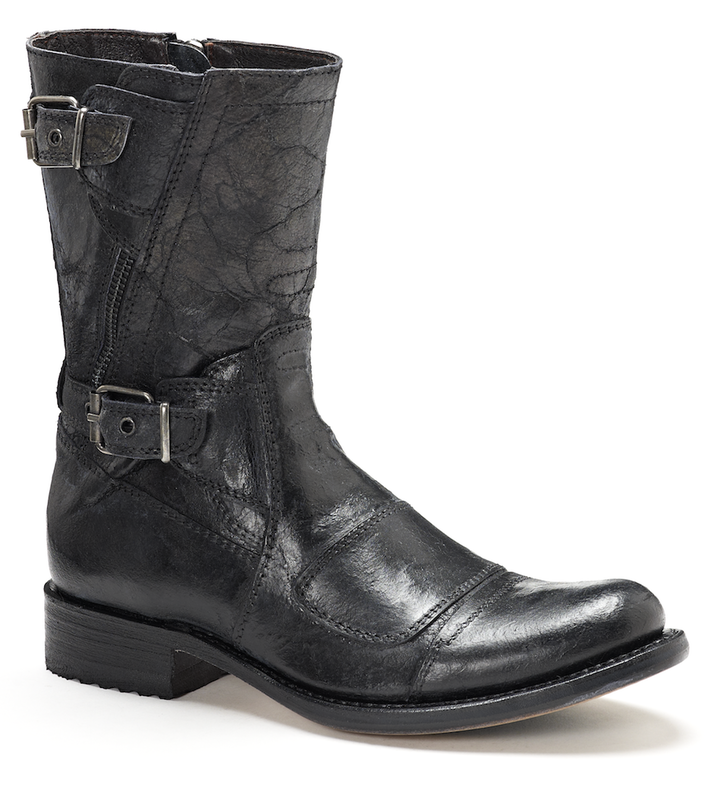 This women's boot is part of the Lady Rebel collection which focuses on lightweight comfort. 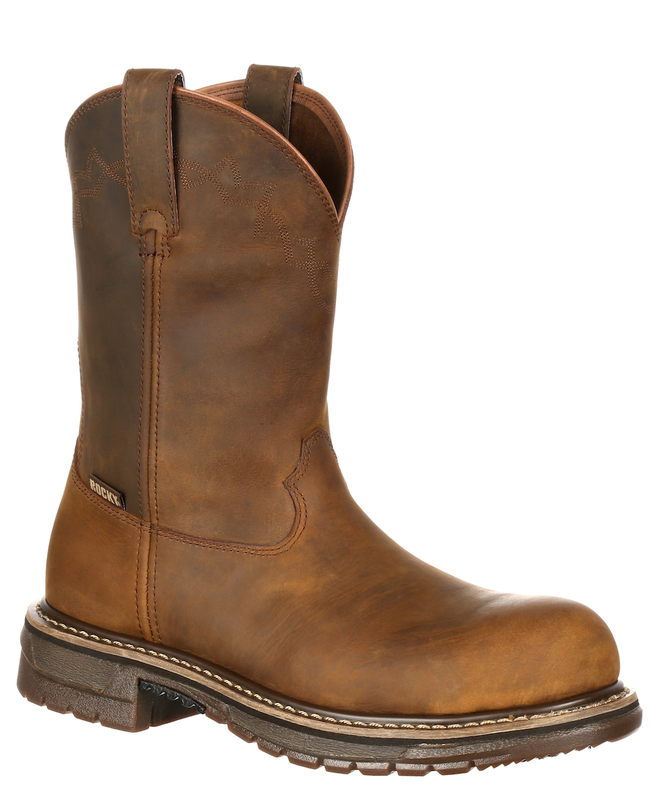 Durango Boot® made this footwear with an ultra-lightweight, dual-density, abrasion-resistant outsole. 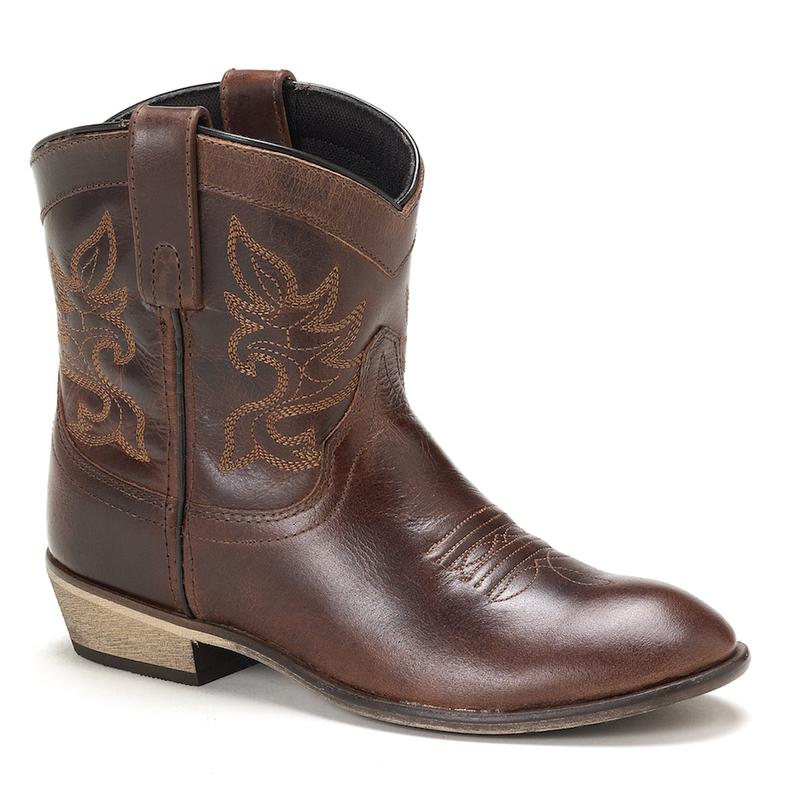 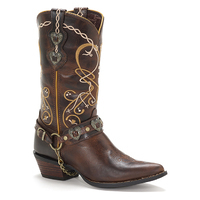 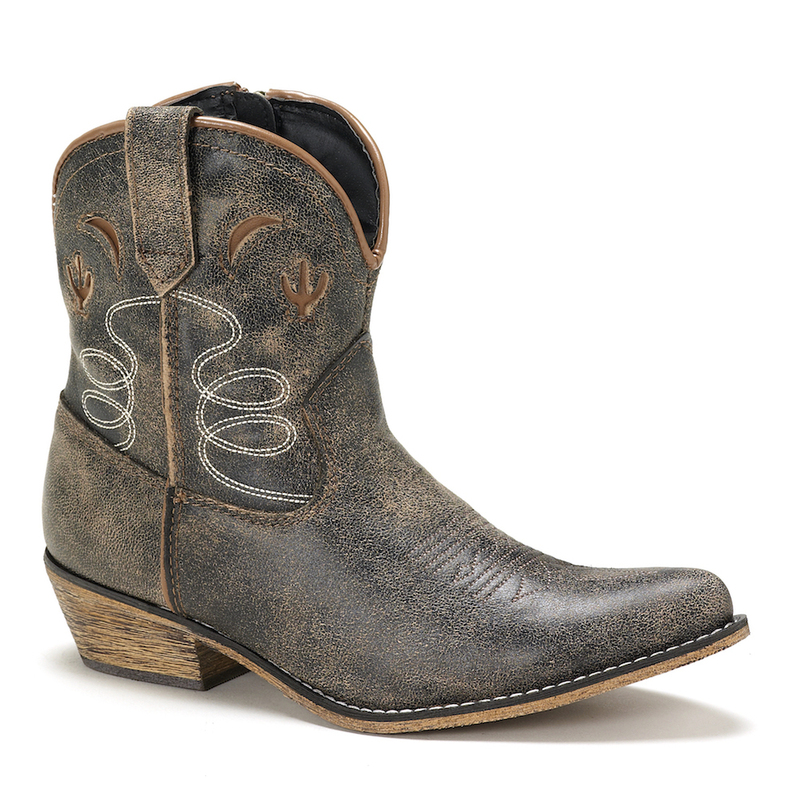 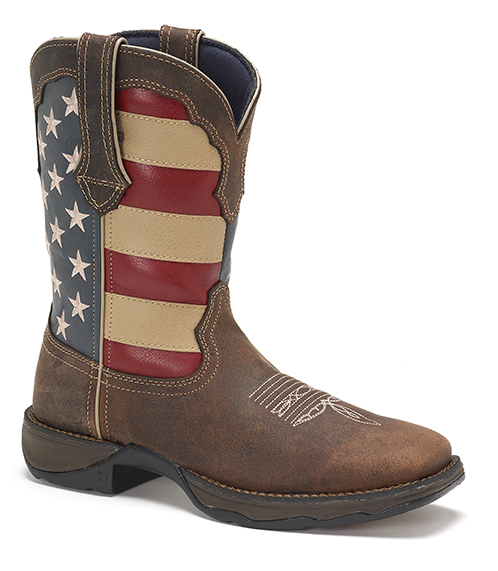 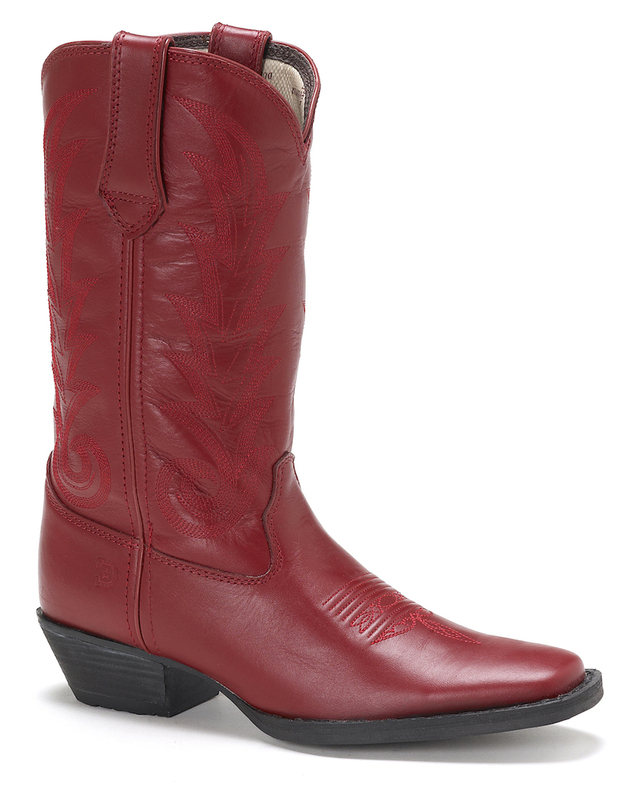 You stand and work all day, or go out all night, in this comfortable cowgirl boot. 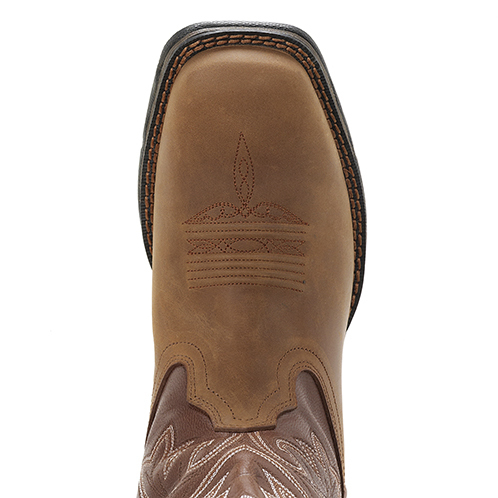 Beyond the comfortable sole, Durango gave this chocolate brown boot some great interior comfort, too. 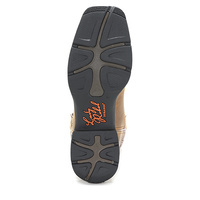 You get to walk on a removable, contoured, ventilated cushion footbed. 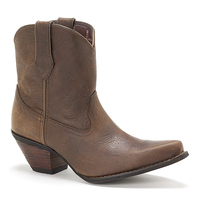 You'll experience comfort with each step in this women's western boot. 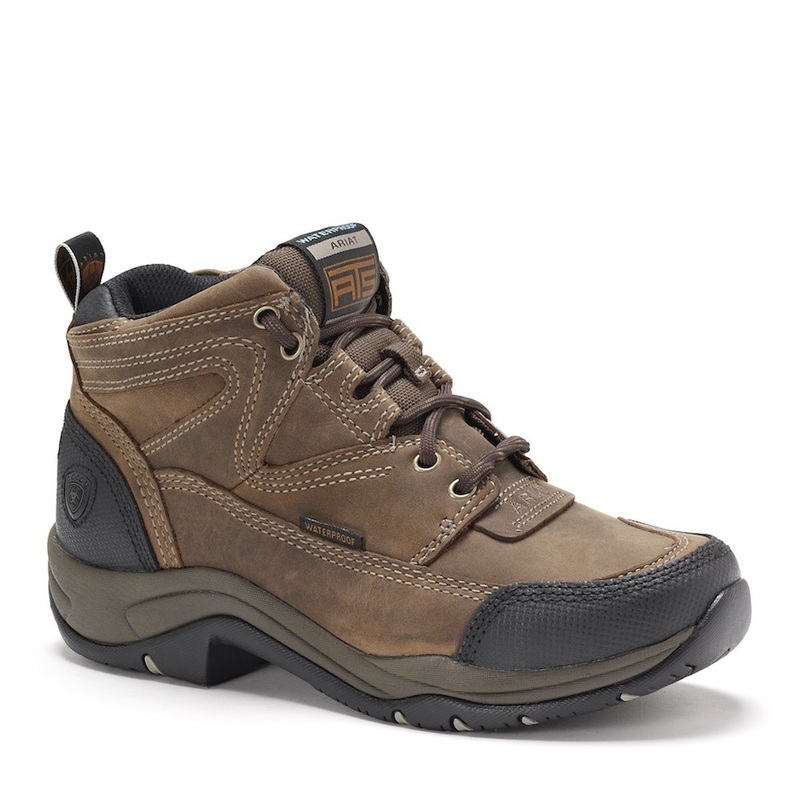 The mesh lining helps fight off sweat, while a tempered steel shank gives you arch support through all-day wear. 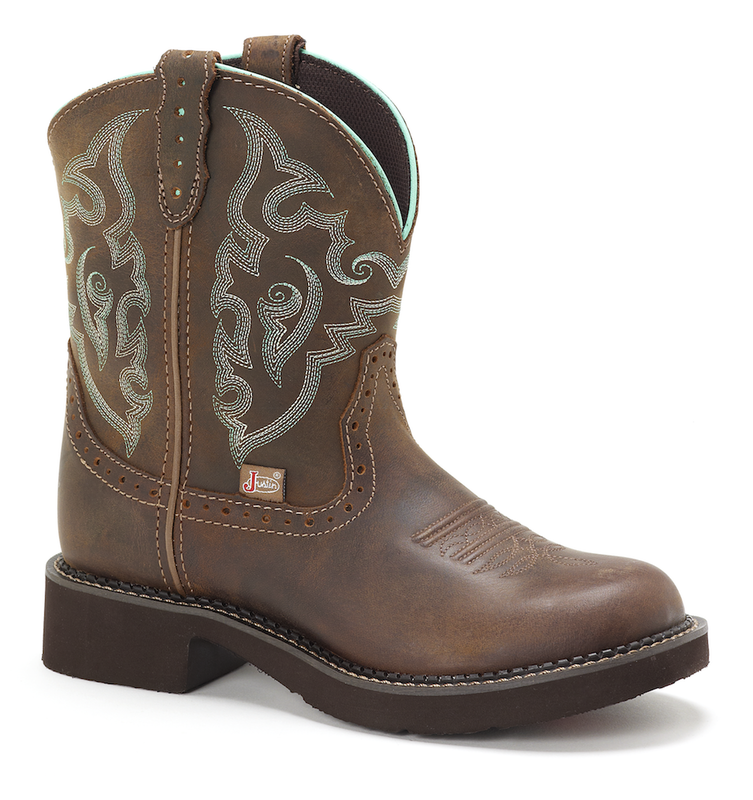 A double-row welt stitch gives your chocolate brown cowgirl boot durability for long-lasting wear. 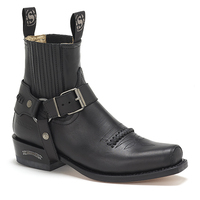 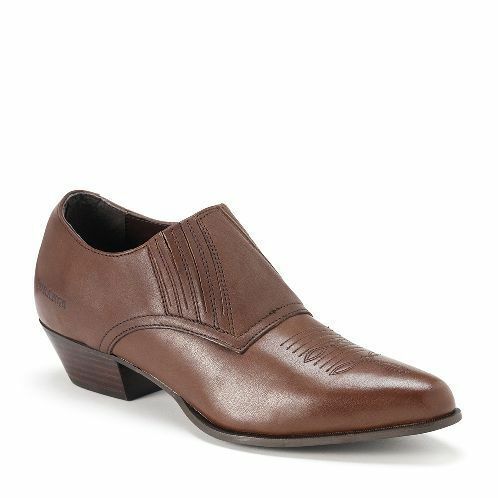 The broad square toe is a comfortable fit, and the rocker heel is a classic design. 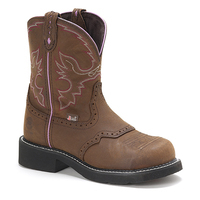 Adding more practical features to this women's comfortable boot, Durango made it a waterproof cowgirl boot. 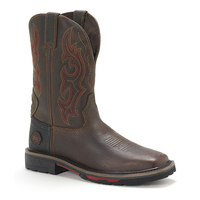 It has a waterproof guarantee that your feet stay dry. 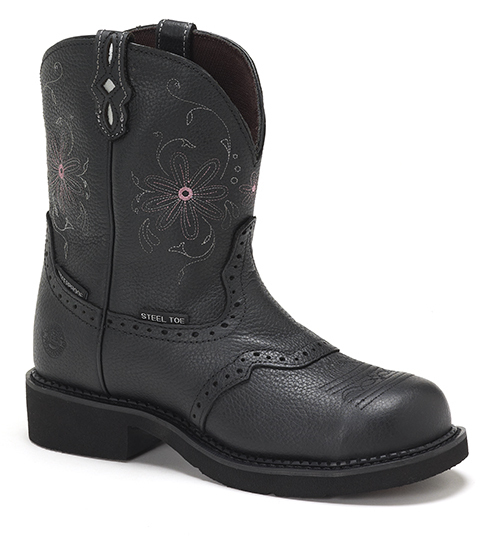 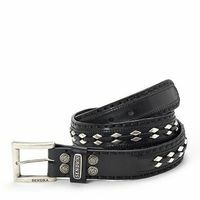 Take on a day of farm chores or dancing through puddles at night. 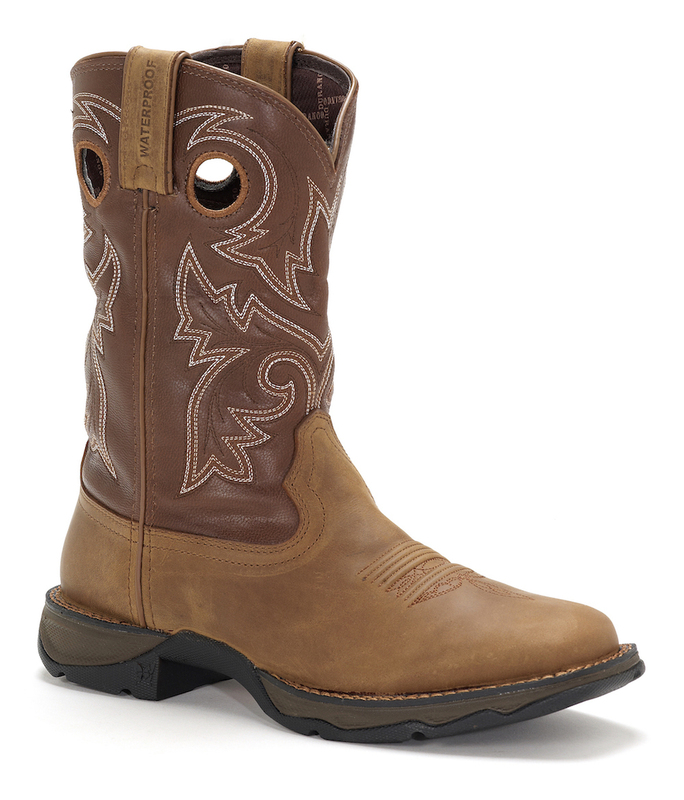 However you wear your boot, you'll be ready for any water that comes your way. 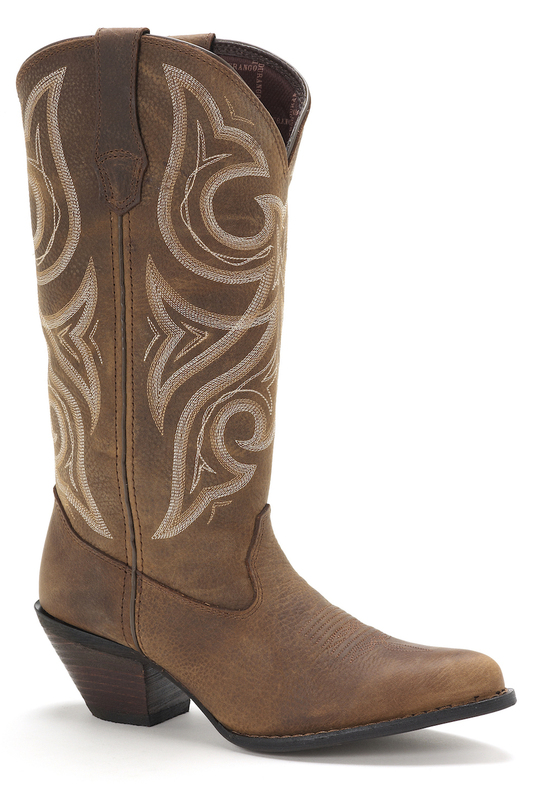 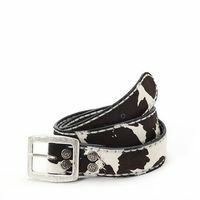 Durango pairs lightweight comfort and cowgirl fun. 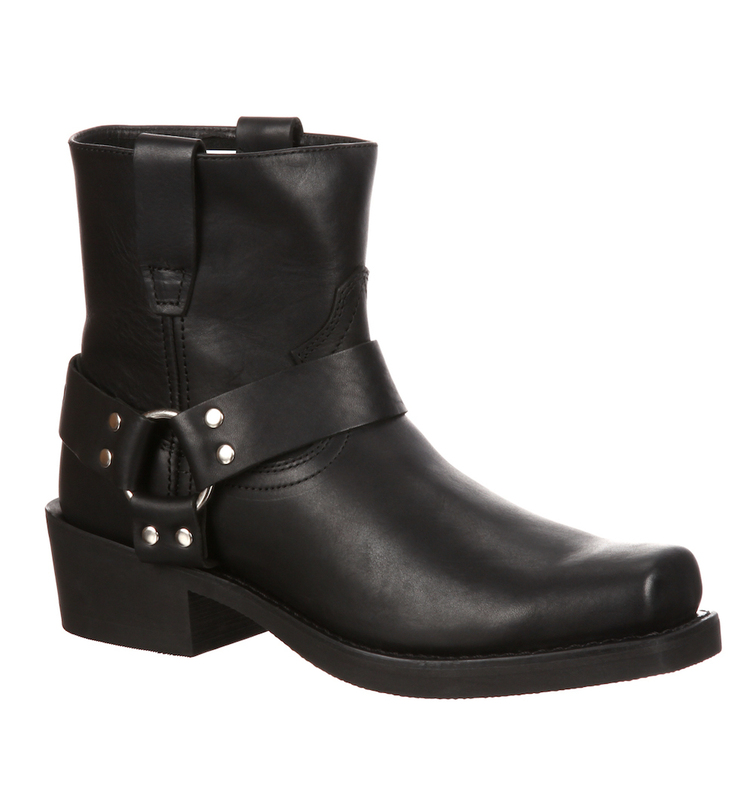 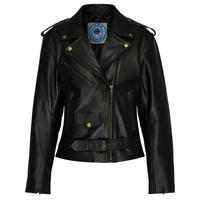 Take a saunter in the high-spirited style of the Lady Rebel.